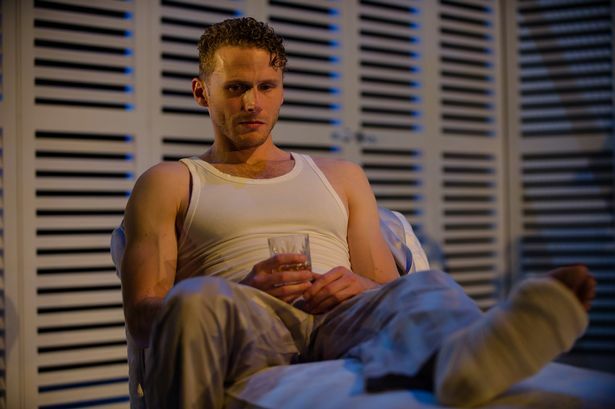 With an entire play set in the bedroom of an estranged couple whose problems include sexual disfunction, childlessness and accelerating alcoholism, you know you’re in for a pretty intense evening. Now put them into a larger family circle facing death and struggling for power, add author Tennessee Williams’ trademark southern discomfort and you’ve got a potentially explosive mixture. I wonder, though, whether time has dampened its incendiary force, because this new production felt stilted and stagier than it should, with hesitant pacing where we should have had Williams’ hypnotic flow of repeated phrases – the cage of words by which the characters try to trap reality. To be fair, because of a last-minute indisposition, the pivotal role of Big Daddy, the earthy patriarch roaring his claim on life, had to be read by the director, James Dacre (whatever happened to understudies?). His exchanges with fading golden boy son Brick (Charles Aitken) obviously couldn’t be delivered at full force, so the weight of the drama fell instead on the women, led by a nervy, elegant Mariah Gale (obviously channelling Jackie Kennedy) as Maggie, Brick’s wife. Sinuously feline in her movements, she’s the cat of the title, lying and manipulating to secure her future in a relationship already based on lies. Kim Criswell as Big Mama bustled her way convincingly through a steel-cored, sentiment-laced stranglehold on her family, while her pregnant daughter-in-law Mae (Victoria Elliott) stole every scene as one of Williams’ most magnificent monsters. Dressed to kill in russet satin and stilettos and trailing her five no-neck brats, she embodied a terrifyingly rapacious fecundity. Much to enjoy here, including the symbolically glacial set, but the rhythm wasn’t compelling. Under less fraught circumstances, it might gel better.